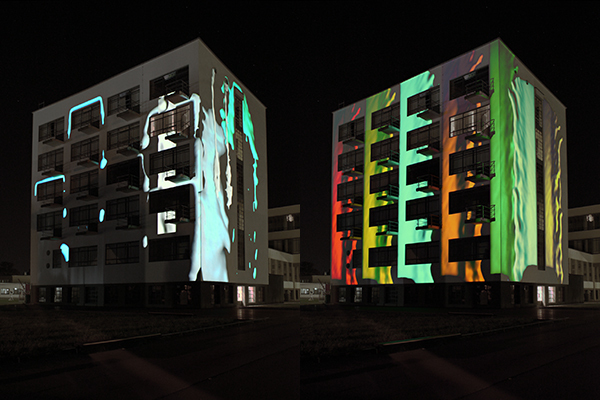 On the occasion of the Bauhaus-Fest 2013 parts of the building ensemble at the Bauhaus Dessau were covered with continuous video projections - two sides of the Prellerhaus as well as another big part of the north side of the main house‘s façade. 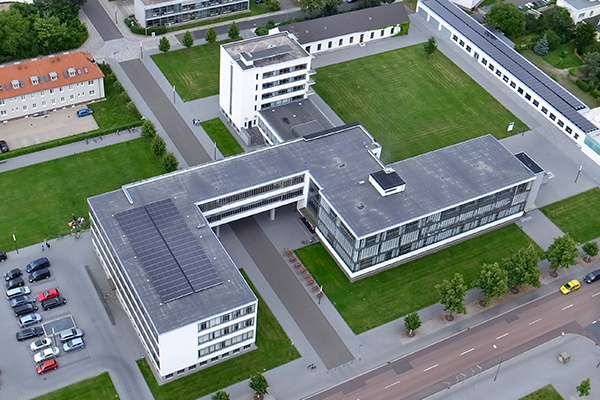 Initial points are the building‘s architecture, the stringent ensemble‘s composition and it‘s nowadays importance. Those aspects are contrasted by the emotionally charged element of color, which is created through light. 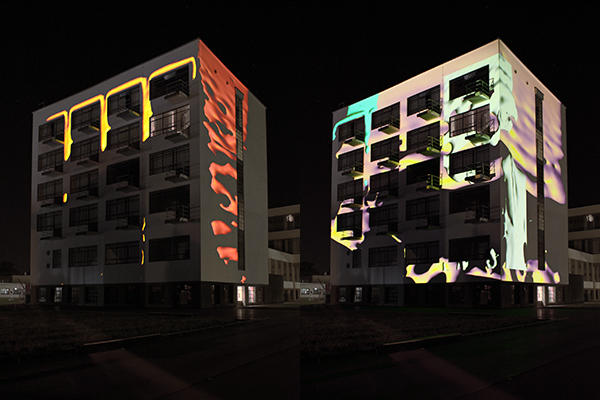 The projected color is used like material, which mainly dynamizes the building and partially relates to, partially ignores the walls. By dimensional offsets and twists, the color is constantly layered into possible and impossible spacial combinations, evolving a strange interplay between those spheres. Through the expressive elements the clarity of the space is complemented by movement/speed, spontaneity and emotionality. 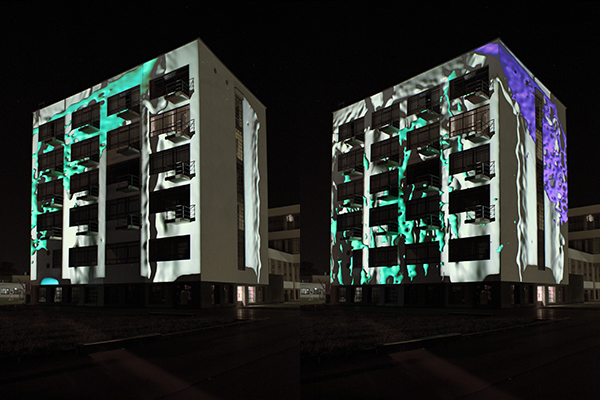 Projected video becomes part of the building as it is developed from the architectural shape and as the architecture itself exists more in a certain status than telling a story or providing information. The classic filmic element of motif or image is minimized in favor of the spacial experience. 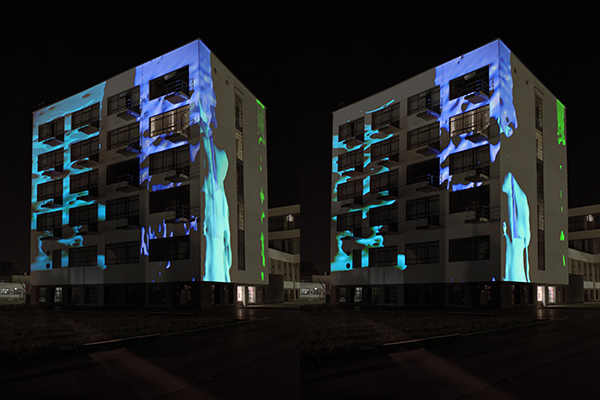 The video‘s dynamic etches the surface of the building. 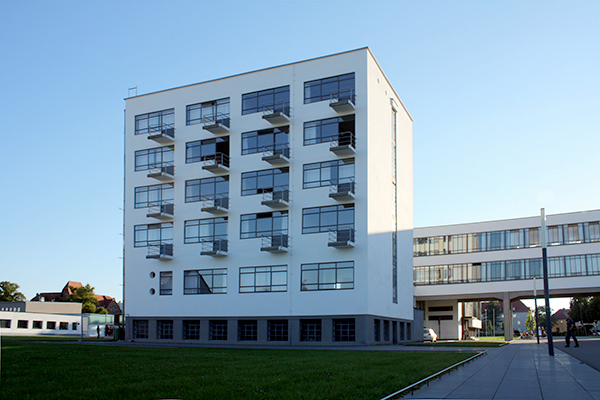 The whole spacial experience is that of a flowing space interacting with the stream of visitors, who can perceive a newly „formed“ architecture on the Bauhaus-Fest.